When General Motors first introduced the Chevrolet Volt, it was estimated the vehicle got 230 miles per gallon. The government formula that was used to calculate this number, though, was never officially approved. This means that the estimation of miles per gallon for most hybrids will have to be recalculated — not just the Chevy Volt. The calculation of miles per gallon for most hybrid vehicles has been a tough question for the EPA. The standard calculation for “real” miles per gallon involves simply dividing the number of miles driven by number of gallons of fuel. However, the EPA estimates of mileage are more complicated. City driving, highway driving and the maintenance of the vehicle all impact the efficiency of a vehicle. Hybrid vehicles add variables that also complicate this estimate. In order to get an accurate estimate of the mpg a vehicle will get, the EPA uses relatively complicated formulas. In calculating the mpg rating of the Chevy Volt, GM used a formula created by the government. However, that formula, according to the EPA, was never given “final approval.” In initial marketing, the Volt was touted as getting up to 230 miles per gallon. Now, GM and government regulators are “working collaboratively” to come up with a new formula to estimate miles per gallon. It is likely that the Volt will be rated at between 70 and 140 miles per gallon, depending on the new calculations. Electric and electric-hybrid vehicles have long presented a difficulty for government regulators. Because the cost of gas and the cost of energy both fluctuate, it is not easy to give a dollars-to-miles comparison for driving distance. 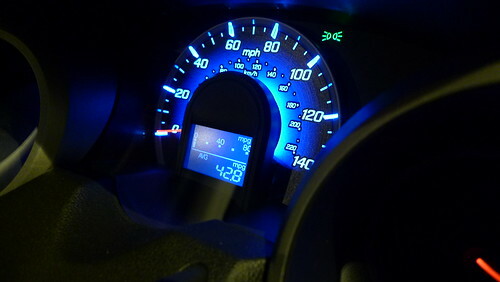 Miles per gallon is a measurement that simply does not apply to most electric vehicles. Mpg also skews the view of hybrids, because they often rely on energy created by the fuel and have highly variable ratings, depending on driving habits. In short, the EPA is working hard to answer a question that is, at best, difficult.